Houston’s Wortham Theater reopens its doors after Hurricane Harvey in record time. Behind the scenes MGM Transformer Co. was working with major equipment suppliers to design and deliver transformers in record time for the theater to reopen. When the Nationally acclaimed Wortham Theater in Houston TX was closed by severe damage caused by Hurricane Harvey, it took many companies working together to design and build the necessary equipment to repair the damage and rebuild new systems to integrate with the old. “One reason why our recovery has taken so long is because of the complexity of combining partial 30 year old equipment and partial new equipment. The design team had to really work hard to make those connections and to make that compatibility work,” said Sheila Turkiewicz, Senior Vice President the Theater District. 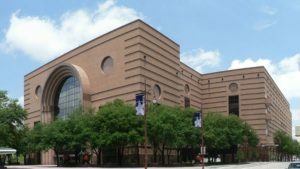 During Hurricane Harvey, Wortham Theater took on about 12 feet of water, which damaged the basement, tunnel access to underground garages, costume shops, storage areas, and opera and ballet rehearsal spaces. 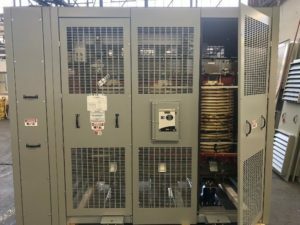 Working with a major equipment manufacturer, MGM designed and manufactured 4 medium voltage substation style transformers and delivered them to the job site within 15 days. 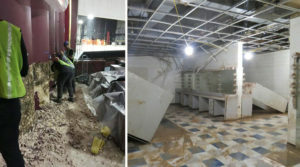 “Getting the Wortham back up and running again after taking on twelve feet of water is a complex process, but contractors and the forensic engineering firm have worked tirelessly to safely dry out, assess and stabilize the building,” said Sheila. Pictured is one of the transformers designed and delivered to Wortham Theater in record time. For further information on how MGM can help you with your special applications or needs contact us at 1(800) 429-4366 or sales@mgmtransformer.com.